The Youth office of the Diocese is known as Penang Diocesan Youth Network(PDYN), and is located at the second floor of Pusat Keusukupan Katolik. The Director for PDYN is Fr. Simon Anand. PDYN has its Website and Facebook Group, of which you can obtain full information. Please click here to visit the web site and here to visit the group. 9-Apr-19: Council of Priest (COP), Stella Maris, Penang. 9-Apr-19: Clergy Monthly Recollection (CMR), Stella Maris, Penang. 10-Apr-19: Clergy Monthly Recollection (CMR), Stella Maris, Penang. 11-Apr-19: Mission Schools Meeting, Pusat Keuskupan Katolik, Penang. 11-Apr-19: Diocesan Finance Committee Meeting, Pusat Keuskupan Katolik, Penang. 18-Apr-19: Holy Thursday – Multilingual Mass, St. Anne’s, BM. 19-Apr-19: Good Friday – Multilingual Service, St. Anne’s, BM. 20-Apr-19: Easter Vigil & Baptism – Multilingual Mass, St. Anne’s, BM. 21-Apr-19: Easter Sunday – Tamil Mass, St. Anne’s, BM. 23-Apr-19: Mass – Franciscan Sisters of the Immaculate Conception (FSIC), Stella Maris, Penang. 23-Apr-19: Parish Pastoral Committee (PPC) Meeting, St. Anne’s, BM. The objective of PDPI is to assist the people of God grow as Christian disciples as they build the Kingdom of God in their lives, families, communities, society and nation. This calls for them to be involved in Christian witnessing and missionary outreach. Helping our communities understand that our faith must move us to reach out to others: “The missionary outreach is a clear sign of the maturity of an ecclesial community” (Benedict XVI, Verbum Domini, 95). The College General, located in Tanjung Bungah, Penang is an institution of secondary education for seminarians in preparation for ordination of ministry. 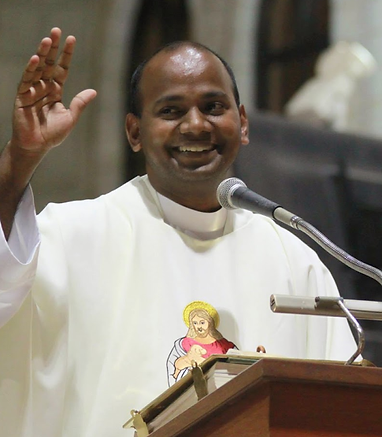 Since its inception 340 years ago, College General has produced about 1000 priests. The contribution of Catholic schools to the development of education in Malaysia has been significant. Catholic mission schools were the pioneers in the field of education in Malaya’s pre-independence years. Stella Maris is the prefect getaway for an exciting, refreshing and revitalizing retreat in Penang. It is no coincident that Stella Maris Retreat Centre is the seaside formation centre of the Catholic Church located just by the seaside in a Tanjong Tokong, Penang. Copyright © 2019 Diocese of Penang Malaysia. All Rights Reserved.